Ellen visits and approves each and every Bar/Bat Mitzvah location! 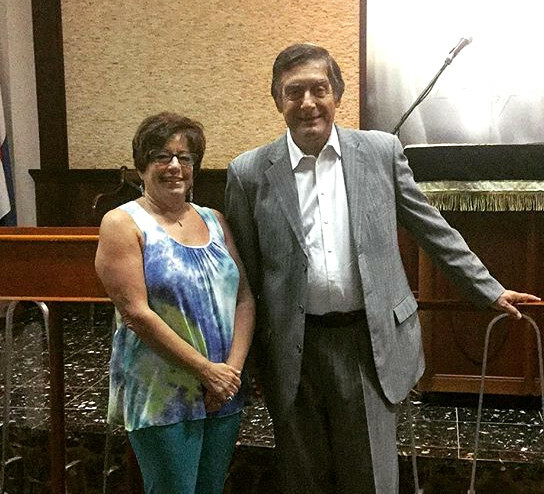 Rabbi Kripper shows Ellen Paderson around Beth Israel Synagogue in Aruba. Bar Mitzvah Vacations is the brainchild of veteran travel counselor Ellen Paderson, owner of Smiles and Miles Travel, a thriving independent virtual travel agency specializing in Destination Weddings, Honeymoons and luxury travel. An inveterate, discerning traveler, Ellen almost never recommends a country, destination, hotel, cruise ship or resort she hasn’t already personally visited and vetted. She accepts only the best in accommodations, amenities and service from the exclusive group of venues selected for inclusion in her client itineraries. No amount of slick advertising or wide-angle web photography can substitute for first-hand knowledge of the virtues and flaws of any given destination. Ellen knows her product inside out. When the occasion is an important family milestone, clients need the peace of mind that money can’t buy. 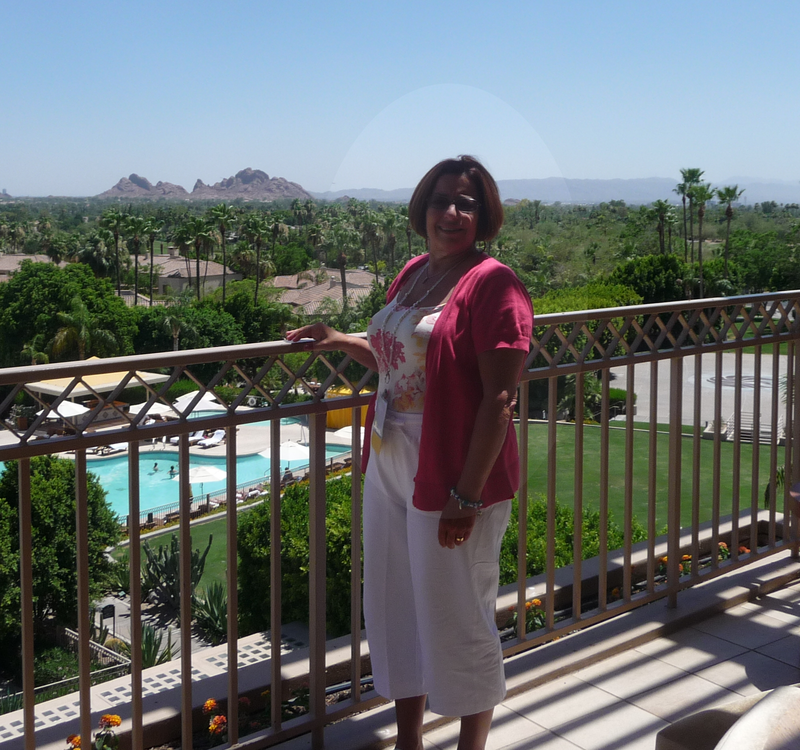 Both before and during travel, you can relax in the knowledge that Ellen is acting as your advocate and coach, smoothing the way to a memorable and worry-free experience. After over fifteen years in the travel business and booking dozens of Destination Weddings, Ellen realized that the Destination Wedding and Honeymoon model could also apply to Bar and Bat Mitzvahs. Families could choose to hold Bar/Bat Mitzvah services on a cruise ship or in an historic synagogue in Europe or the Caribbean. This could be followed by a family vacation in Europe, onboard ship,or at a beach villa in an all-inclusive resort. Today, thanks to this growing trend among Jewish and interfaith families, you can leave behind the extravagant, stressful Big Event and opt for a more intimate celebration with family and friends. Ellen launched Bar Mitzvah Vacations in 2006, and has been helping families realize their dreams of a ‘different kind of celebration’ ever since. Trust her deep experience and global network of planners, local guides and clergy to create a once-in-a-lifetime experience for your family! Thinking of a Destination Bar/Bat Mitzvah? Contact Ellen now -- Dates are available through 2020.